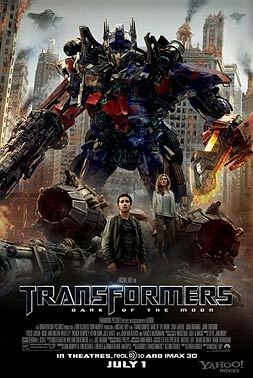 In TRANSFORMERS 3: Dark of the Moon, three years have passed since Sam Witwicky (Shia LeBeouf), put his personal life on hold for a second time to help the Autobots save the human race from predatory Decepticons. Despite his immeasurable contribution to mankind, Sam finds himself unemployed and in the middle of a new relationship with Carly, played by Rosie Huntington-Whiteley; recently named “Maxim’s 2011 hottest woman on the planet”. Meanwhile at NEST headquarters, a wealth of secrets have been unearthed surrounding the 1960’s space race to the Moon, not the least of which is the discovery of a crashed alien spaceship. And it’s only a matter of time before the Decepticons find the ships secret cargo and a crucial key to the most dangerous weapon in the universe. From director Michael Bay and Executive Producer Steven Spielberg and presented in 3D, comes the most anticipated 3D event of the summer in this thrilling adventure which also stars Josh Duhamel, Tyrese Gibson, John Turturro, Frances McDormand , John Malkovich and Patrick Dempsey.